David Lynch’s Dune (1984) is a flawed masterpiece. When I first saw it, I was deeply disappointed. Frank Herbert’s original novel made a powerful impression on me. I could see Herbert’s world, and Lynch’s vision was not my vision. But when my initial impression faded and I returned to Lynch’s film with an open mind, I found it immensely imaginative and compelling. Even the score by Toto managed to grow on me. Yes, Lynch changed some things about Dune, but the changes were for the better. For instance, the audience with the Guild navigator is not in Dune, but a similar scene takes place in the sequel Dune Messiah. It was too visually interesting a scene for Lynch not to steal, and he used it to advance the plot in crucial ways. Dune also combines a cynical materialism with genuinely mystical ideas like prescience. Lynch downplays the materialism and focuses in on the magic. Dune deals with the explosive results of combining religion and politics. 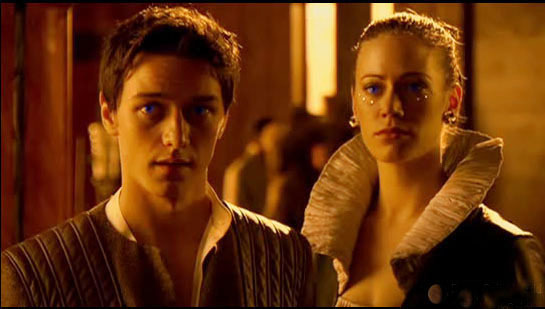 Young Paul Atreides is the product of the Bene Gesserit sisterhood’s centuries-old project to breed a superman. When he just happens to fulfill the prophecies of a messiah implanted in a superstitious desert people by the same sisterhood, he uses religion as a tool to raise an army and restore his birthright, but as we learn in the sequel Dune Messiah, the holy war takes on a life of its own and scorches the galaxy. In Lynch’s telling, Paul really is a messiah. Oddly though, Lynch goes in the exact opposite direction in his treatment of the “weirding way,” turning it from a yogic siddhi into a kind of technology. Lynch did not have control of the final cut of Dune, and many scenes were removed. There will never be a director’s cut, but some of the missing footage has surfaced in an abomination that appeared on television. In truth, though, nothing essential was lost, and each time I view this film, I marvel anew at how masterfully and concisely Lynch relates the essentials of the story. Lynch’s Dune has many critics and skeptics. I will quell their qualms in a much longer analysis to Lynch’s Dune for a book about Lynch I plan to write someday. In the meantime, if you want to develop a better appreciation of David Lynch’s Dune, I suggest you try the alternative, the Sci-Fi Channel’s 2000 miniseries Frank Herbert’s Dune, directed by John Harrison. Every Herbert fan will want to see it, but few will enjoy it. In truth, it is pretty bad. Let me count the ways. First, the special effects are abysmal, far inferior to Lynch’s which predate the age of computer animation. Second, although some of the interior and exterior sets are imaginative, the costumes are mostly bad, especially the silly headgear. Third, something is wrong with the sound. There are patches of the film where the dialogue is unintelligible, and not just because of the exotic accents of some of the Czech actors. The worst offender, actually, is William Hurt as Duke Leto Atreides, who sounds like he is mumbling through wooden teeth. To make matters worse, the DVD set I have does not have subtitles. Fourth, the script is wordy, a flaw the stands out in the scenes that have direct equivalents in the Lynch film. Fifth, the Fremen’s various gestures and rituals are muddled and clumsy, lacking in the stark simplicity one would expect of such people. Sixth, the only decent music sounds like Brian Eno’s “Prophecy” theme from the Lynch film. Seventh, I don’t like a lot of the cast. Some of them are ugly and others are terrible actors. Most of the casting and acting is far inferior to the Lynch film, particularly the characters of Duke Leto, Lady Jessica, Reverend Mother Mohiam, Stilgar, Dr. Yueh, Dr. Kynes, Thufir Hawat, Piter de Vries, Mapes, and Chani. Alec Newman is actually good as Paul Atreides, but there are precious few scenes where he plays off anyone equal to him. I also liked Julie Cox as Princess Irulan, whose role is expanded from narrator to agent. This bit of tampering did not bother me, since it sets the stage for her more prominent role in the subsequent novels, and some of her lines are taken from characters in the original novel. I also liked Ian McNeice as Baron Harkonnen, whose portrayal is faithful to Herbert, whereas Lynch’s unforgettable Grand-Guignol Baron owes much to his own sick imagination. P. H. Moriarty’s Gurney Halleck is not bad, but he is no improvement on Lynch’s Patrick Stewart. The same is true of Giancarlo Giannini’s Emperor Shaddam IV and Matt Keeslar’s Feyd: not bad, but not better. 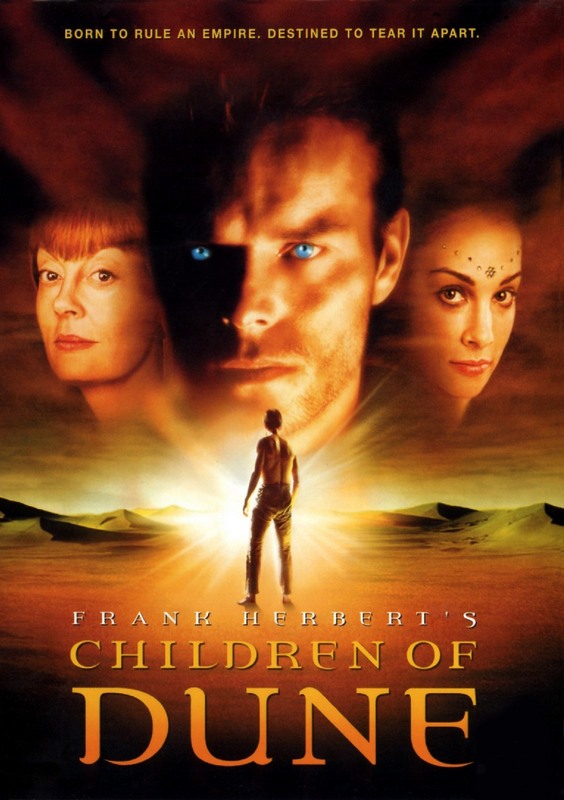 After 295 underwhemling minutes of the Sci-Fi Dune, I was not exactly eager to pop in the sequel, 2003’s Frank Herbert’s Children of Dune, directed by Greg Yaitanes. In fact, it took me more than a decade to get around to it, a decision that I regret bitterly, because it is an absolutely brilliant series. The Sci-Fi Children of Dune is actually an adaptation of Herbert’s two followup novels, Dune Messiah and Children of Dune. Watching it, I felt completely vindicated in my objections to the original series, because virtually every flaw that had rankled me had been removed: the bad actors, the ugly actors, the muffled sound, the pedestrian music and directing, the terrible special effects, even the silly hats. Both series had the same budgets, but the second one looks infinitely richer. Truly the worst sort of poverty is lack of taste. The best actors in the first series are back: Alec Newman as Paul, Julie Cox as Irulan, P. H. Moriarty as Gurney Halleck, and Ian McNeice as Baron Harkonnen. Even a couple actresses who I did not like in the first series — Barbora Kodetová as Chani and Zuzana Geislerová as Reverend Mother Mohiam — were much better under Yaitanes’ direction. The new characters are exceptionally well-cast and acted: James McAvoy as Leto II, Jessica Brooks as his twin sister Ghanima, and Daniela Amavia as their aunt Alia. All three are exceptionally attractive and charismatic. They are all a bit older than in the books. Alia is about fifteen in Dune Messiah, whereas in the series she is an adult. 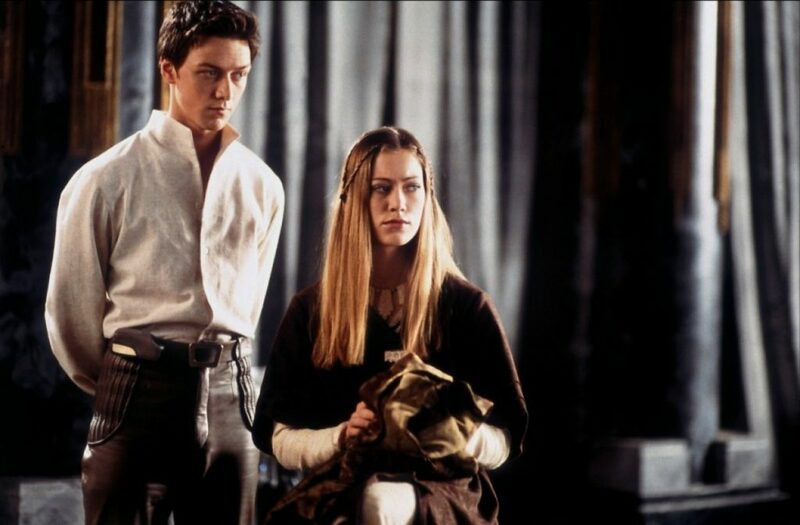 The twins are nine on Children of Dune, but in the series, they are seventeen, on the cusp of legal adulthood. Frankly, these were good choices, because in Herbert’s novels, all three characters are sexually precocious, which is something that even today’s entertainment industry balks at putting on the screen. More mature actors are also more believable. The big surprise is Susan Sarandon, who camps it up a bit as Princess Wensicia, the scheming younger sister of Princess Irulan. Sarandon, of course, is probably old enough to be Julie Cox’s mother. To add unity to the adaptation of the two novels, and probably also to get more out of Sarandon, Wensicia is made one of the conspirators in Dune Messiah. She is the only character who gets to wear silly hats. The theme of Dune Messiah is Paul’s attempt to free himself from the terrible consequences of his own ambition, which have turned him into the God Emperor of a fanatical religion and ignited a universal conflagration. The theme of Children of Dune is freedom. Like a fugue, the two themes run through both books, the theme of freedom emerging and the end of the first; the theme of religion concluding at the end of the second. Thus it is quite natural and satisfying to have the two novels worked into a single 266 minute miniseries. To fulfill the Golden Path, Leto must become the greatest tyrant the world has ever seen, an immortal God Emperor. To this end, he allows “sand trout” — the precursors of the giant sand worms — to fuse with his skin, turning him eventually into a giant worm-human hybrid who is virtually indestructible, as long as he avoids a bath. It is an astonishingly imaginative and downright weird story arc that finds completion in Herbert’s fourth installment, God Emperor of Dune, which I hope I will live to see brought to the screen. Yaitanes could certainly do it justice. In truth, I am saddened that the Sci-Fi Channel did not see fit to do it years ago. Children of Dune is high-concept science fiction, but it is not space-opera. There aren’t a lot of laser battles or space-ships whooshing around. It is more like opera-opera: grand conflicts hinging on grand moral and metaphysical themes, enacted in grand settings by grand heroes and villains dressed, of course, in grand costumes. Overall, Yaitanes’ direction is characterized by an unapologetic commitment to beauty and emotional warmth and sincerity. There are many genuinely moving scenes, highlighted by the lovely score by Brian Tyler (Enya meets Elgar). No matter how far out Herbert’s imagination can swing, it always remains grounded in the constants of the human heart. If you are just beginning to explore the Dune universe, I would recommend that you skip the Sci-Fi Dune miniseries entirely. Begin with Lynch’s Dune, then watch Children of Dune, its worthy sequel.